This is second year of IMHO support. This project proposes to ‘ensure equal and sufficient educational, medical and social services for children with disability’ by strengthening education system to access children with disability for schooling, equipping health system to manage and rehabilitate children with disability and strengthening social network to safe guard the rights of person with disability. This project seems to be an ongoing project of ASNN and backbone activities of the organization and persons with disability of the region. ASNN volunteer teachers are main service providers of person with disability and they used to coordinate other benefits for persons with disability with relevant authorities. ASNN support 16 special needs units in Ampara district, 45 volunteer teachers are working with these. AJWS sponsored for this activity and mainly for the wages of these teachers and the training of these teachers. 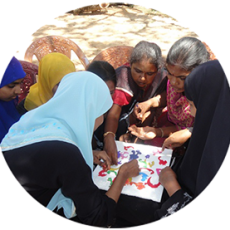 Purpose of this project was to ensure quality educational services for children with special needs in Sri Lanka through special needs educational units and teacher training. AJWS continued their support from 01.01.2009 to 31.12.2014. With the support of this project all children with special needs excluded from mainstream classes attend special classrooms that function within government schools. ASNN was established in collaboration with government disability actors (Departments of Education, Health and Social services) and The KBI, and ASNN took over the all activities of KBI relating to the disability. So, KBI supported to ASNN to sustain the activities. KBI mainly focused Organizational capacity building, sustain the Disability related Projects, a system established for the medical needs of children with disability and additional support for two Special Education Units in Kalmunai and Navithanveli divisions. Improving friendly environment through access to education and livelihood support. UNDP provided funding in form of a micro- capital grant to alleviate poverty of the vulnerable rural village population with children with disability, affected by conflict and tsunami through provision of assistance to improve their livelihood. Under this project three Special Education units received playing items and teaching aids, 60 parents/ guardian of children with special needs received revolving loan to develop their business and special needs units were strengthened by making visibility materials, monitoring system. Empower Persons with Disability by providing equal rights and opportunities through community participation. 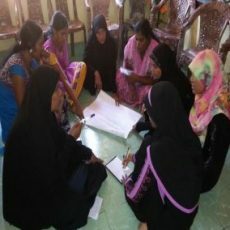 This project proposed to ‘Empower Persons with Disability by providing equal rights and opportunities through community participation’ with two objectives; to establish a mechanism to ensure the rights of persons with disability and enhance the quality of services offered to them and to advocate the rights based approaches to ensure the inclusion of person with disability into mainstream services. USAID (SPICE) supports for capacity building of our organization apart from this project. 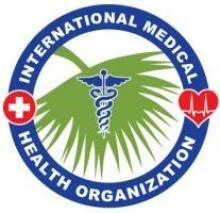 1 Dr.N.Arif DMO, DH, Sainthamaruthu. 2 T.L.Difasathullah Jaya Road, Maruthamunai. 8 A.R.M.Azeem Aseem’s Abaya, Imam Gassaly Road, Maruthamunai.